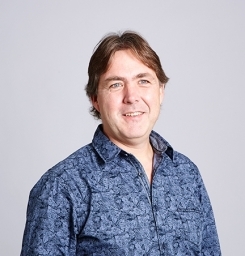 Martijn is one of AssistiveWare’s partners and CFO. He met David in high school many years ago. After studying Cognitive Sciences he developed exhibits at Science Center Nemo in Amsterdam. Later he founded his own business “Hoofdwerk”. In 2010 he joined AssistiveWare as a partner bringing to the table a wealth of experience in web development and product design.